such deep intimate love affair! Thich Nhat Hanh on YouTube. June is almost half gone. The greatest blessing of this month is eating more berries this year than ever. Because of cold this year there are not enough peaches, nectarine and apricots. I miss peaches and nectarines this year. But I am happy that there are lots of berries around. First time in my life I had fresh mulberries. Thanks to farmers market. Now there more than 7 farmers market in the city of SF. 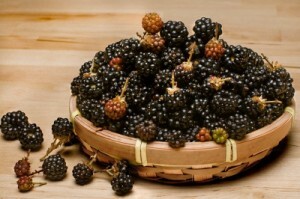 For the fruit lover who loves sweet and worries about eating too much sugar, I found berries are always good option. Not only blue berries and mull berries and Goji berries and many more kinds of wild berries are very healing but commonly seen around us, these beautiful red color strawberries also has lot health benefits. Of coarse they are very tasty too. Researchers say that earlier lab experiments found strawberries inhibited cancerous tumors and pre-cancerous cell abnormalities in the esophagus. In one study 36 people with low and high grade cell abnormalities took 60 gm of freeze –dried strawberries/per day. This is equal to 20 oz. of fresh strawberries. After 6 months it was found that severity of abnormalities decreased in 84% of the low-grade group and 66% of the high-grade group. Scientists said that this reduces the chances of cancer of the esophagus. Read more at WebMD. Each week we bring you another wonderful raw food recipe. Click here for our most recent offerings. 1.Breathwork to nurture your body, mind and soul, Jun 25th, 6.15pm-8.45pm. At the Yoga Society of SF. Click Breathwork Event for more details! 2 Breathing circle-every last Tuesdays of the month followed by Eating more greens potluck. 6.15pm-9.30pm. Event listing here. Remember to check all our upcoming events at our RaYs-Mandala Events Page.